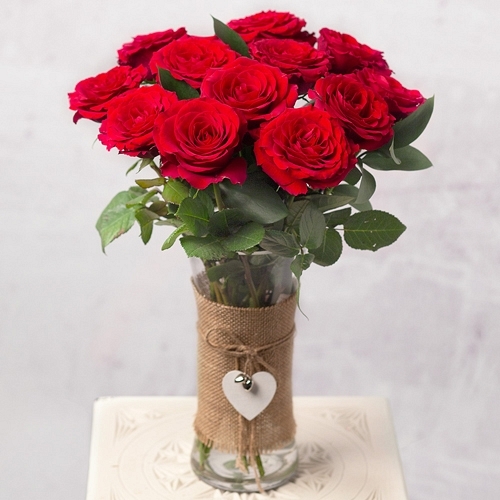 An exquisite display of 12 of our finest Naomi red Roses perfect for any occasion. Elegantly finished with green Ruscus leaf, this is a gorgeous gift to send for that someone special. *This gift is pictured in full bloom. Our roses are delivered as fresh as possible so it may take 1-2 days to fully open.